Fasting during Ramadan is one of the five Pillars of Islam. The fast is observed each day from sunrise to sunset. Muslims rise before dawn to have a pre-fast meal which is called Suhoor and after dusk, they break their fast with the Iftar meal. 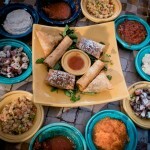 Celebrating the holy month of Ramadan has become a fusion of culture and religion. Come Iftar and Suhoor families can be seen heading to either tents or popular restaurants in different hotels across Dubai. 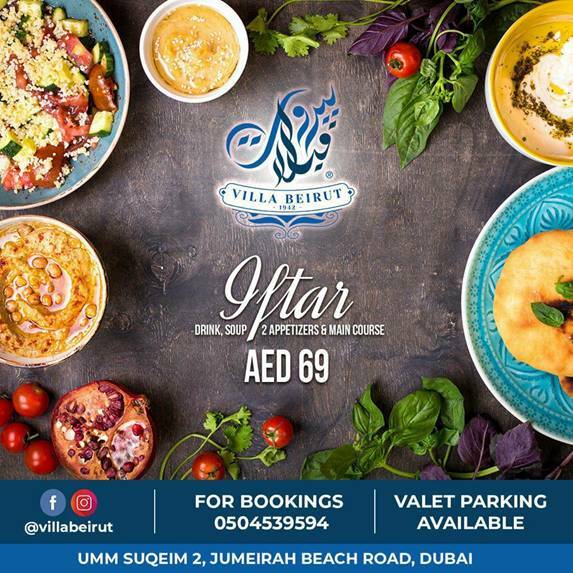 Most Iftar venues in hotels are bedecked with Arabic and Ramadan themes, others have gone beyond that by putting up special tents overlooking the most tranquil of surroundings and they all have their own special way of wooing families, with Iftar food specialties playing a major role. Here’s a growing list of sumptuous Iftar and Suhoor feasts on offer in Dubai for Ramadan 2018. 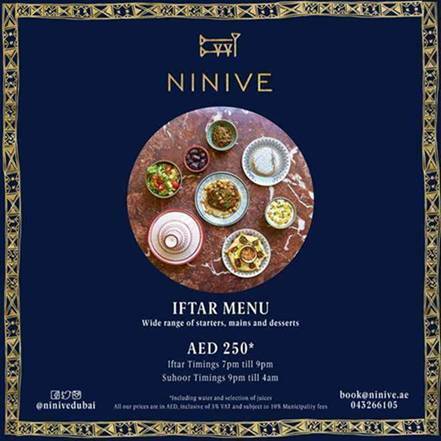 Ninive in Emirates Towers; had launched its Iftar Menu with an amazing ambiance. Book your tables today or contact Wadih El Najjar for more information 050 7670065. 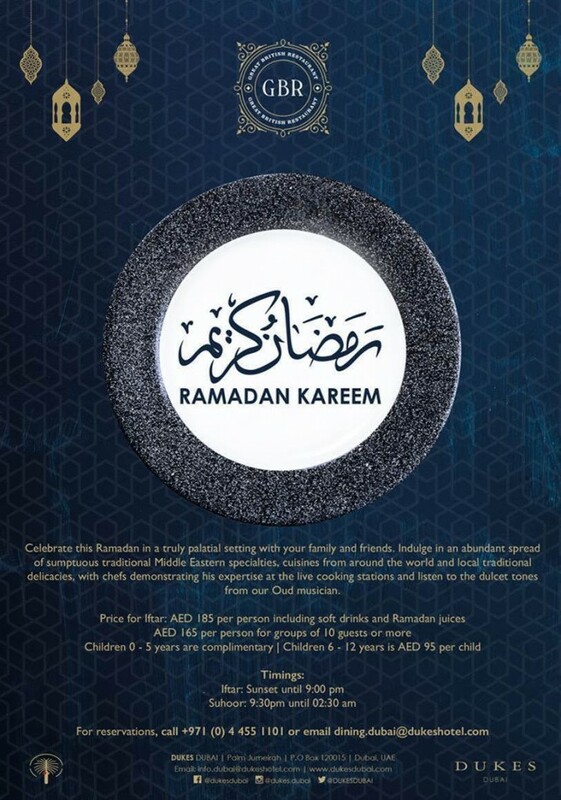 Celebrate this Ramadan a truly palatial setting with your family and friends. 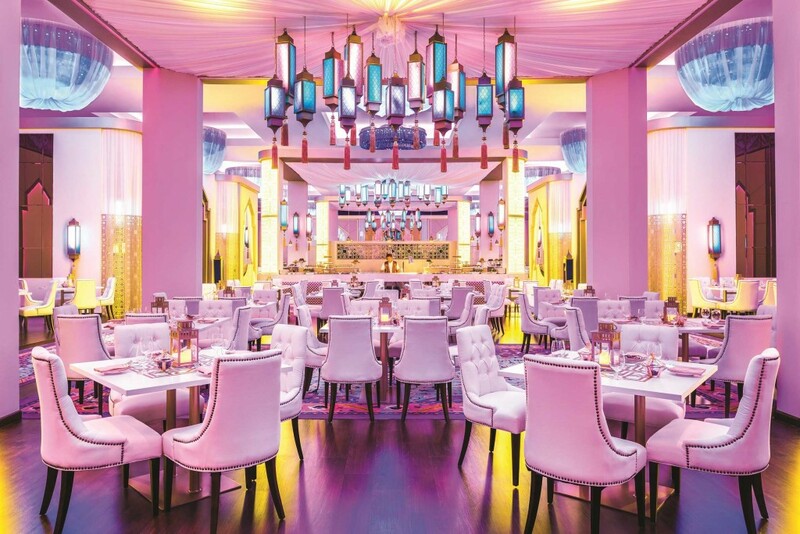 This Ramadan, be sure to book yourself early for a memorable Iftar-experience at the JW Marriott Marquis Dubai with a choice between three great venues: Kitchen6, Al Fanous Lounge at the Dubai Ballroom and Rang Mahal by Atul Kochhar.